A few of us here at MooGoo use self tanning creams (especially with the cooler weather approaching) as we try and avoid sun damage but don’t want to light up dark rooms either. We thought it was time we made our own self tanning cream as we wanted one that was genuinely natural and healthy and moisturising. We didn’t want SPF chemical filters, and we have never been big on Parabens or Benzoates used to preserve a lot of commercial creams. Our in-house tanning queens have given it the thumbs up for colour and also moisture. Enjoy! Self tanning ingredients themselves are actually pretty natural. They are either canola oil, glycerine or sugar based ingredients that combine with the amino acids which are part of the keratin on the skin. Various amino acids combine differently, producing different tones of coloration from yellow to brown. The ingredients can take a day or two before they turn brown. So very simply, the self tanning ingredients make a tan coloured pigment on the skin that looks like a tan, but is not a genuine skin tan which happens when our skin is exposed to UV. Because the colour is made by using the outer layers of skin, the colour will gradually disappear over a period of time as the skin sloughs off. So to keep the colour, it should be re-applied every now and then. So we must admit we cheated a bit. We simply used our Full Cream Moisturiser formula as the base. Our Full Cream is an all natural moisturiser right down to the preservative which is based on Hops. We LOVE our Full Cream, especially in winter. All we did was add the two self tanning ingredients to the Full Cream which are pretty standard across all self-tanning cream. The first is DHA which can be from a variety of sources, we are using a Canola Oil based source. Secondly, in order to get the right colour tone, especially for pinkish complexions, we added Erythrulose which as the name suggest is a sugar based tanning ingredient. We didn’t add any UV Filters for SPF as we personally prefer to stay all natural. We made some samples to make sure it smelled nice as some tanning creams can smell a bit. We also wanted to check that it was moisturising and healthy for the skin. Those of us that use self-tanning creams here now wouldn’t use anything else. We also added purified EGCG. EGCG is the compound within Green Tea that seems to be responsible for Green Teas amazing benefits. But Green Tea itself doesn’t really have a high enough concentration of EGCG to make a difference. So we use the purified Green Tea Extract which is 90% concentrated EGCG and is actually a white powder. If you would like to know why we add EGCG, we invite you to Google search “Topical EGCG Anti-Ageing” to see some studies on its effects. Healthy Ingredients. Milk Protein for Skin Elasticity. Purified Green Tea Extract (90% EGCG) for Anti-Oxidants. Directions: Apply the Self-Tanning Moisturiser daily for a gradual light tan. Tanning creams work best after exfoliating. 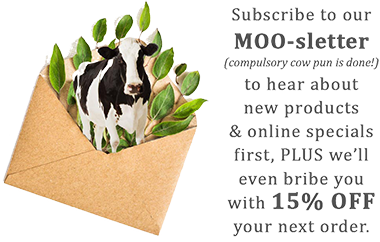 MooGoo Is Proud to List ALL its ingredients on our website, not just the ones with nice pictures. Aqua (H2O's Fancy Name), Cetearyl Alcohol (Plant Based Emulsifying Wax), Prunus Amygdalus Dulcis (Sweet Almond) Oil, Squalane (Olive), Cocos Nucifera (Coconut) Oil, Dihydroxyacetone (DHA Canola-Based Tanning Agent), Olea Europaea (Olive) Fruit Oil, Lecithin (Soy), Erythulose (Glucose-Based Tanning Agent), Polysorbate 60 (Food Grade Emulsifier), Piroctone Olamine (Olamine Salt), Allantoin, Tocopherol (Natural Vitamin E), Aloe Barbadensis Leaf Juice (Aloe Vera), Pyrus Communis (Pear)Fruit Extract, Hydrolysed Milk Protein (For Skin Elasticity), Humulus Lupulus (Hops) Extract, Camellia Sinensis (ECGC Green Tea) Leaf Extract. Cocos Nucifera (Coconut) Oil Coconut oil is a natural oil extracted from the meat of the coconut fruit. Coconut oil has the distinction of being rich in a crystalline fatty acid called lauric acid, and the medium chain fatty acids give raw coconut oil its soothing properties. Coconut oil is naturally antibacterial and antifungal, and is an excellent nourishing moisturiser which can also penetrate hair better than other oils. Coconut oil on its own is a bit greasy and uncomfortable, in a cream it is perfect! Dihydroxyacetone (DHA Canola-Based Tanning Agent) Dihydroxyacetone is derived from plant sources high in sugar and by the fermentation of Glycerin. DHA combines with the Keratin on the surface of the skin to turn gradually brown. This ingredient does not penetrate past the very outer layer of skin (the horny skin layer) which is why the natural tan will gradually slough off over an (approximately) 5 day period. Lecithin (Soy) Lecithin is a fat found in Soya beans. It’s a natural antioxidant, emollient and emulsifier which helps hold the cream together. Erythulose (Glucose-Based Tanning Agent) Erythulose is a glucose-based tanning ingredient that combines with the skin cells on the very outer layer of skin (horny skin layer) and turns a golden brown. We use this in combination with the DHA to give a natural colour. No orange smarties for us. Piroctone Olamine (Olamine Salt) Piroctone Olamine is an organic compound. It is a non-irritating anti-yeast ingredient which helps keep the cream free from bacteria and mould. Allantoin Allantoin is a skin conditioner that has been purified from comfrey. Allantoin is thought to help maintain healthy skin by encouraging the removal of dead skin cells and stimulate the growth of healthy skin tissue. Pyrus Communis (Pear) Extract We've learned over the years that although Essential Oils can be great for some people, some are highly sensitive to them. For this reason, we tend to avoid them in our creams. We still want them to smell nice, so we've added a Pear extract which blends with the ingredients to smell great! Camellia Sinensis (ECGC Green Tea) Leaf Extract Camellia Sinensis is a herbal derivative of green tea leaves. It has anti-ageing and antioxidant benefits that can help delay signs of skin aging, sun damage, age spots, fine lines and wrinkles. Green tea is well known for its strong antioxidant and anti- irritant actives. My How Now Brown Cow arrived on Monday. I couldn't wait to try it and I certainly wasn't disappointed. The colour that developed was a gorgeous brown, not a hint of orange to be seen. I decided to try it for a couple of days just to make sure I wasn't mistaken. I used it daily for three days and the colour that ha developed is as good, if not better than the spray tabs I usually have. There has been on significant difference between a spray tab and my How Now Brown Cow....my skin isn't dry. It's still soft and moisturised. Normally a few days after my spray tan I begin to go patchy because my skin is so dry. This hasn't happened yet. Im still showing a lovely tan. My fiancé has even commented on the colour that's developed.